Merck was formed in 1851 by Dr. Ernest Shering, who began by developing and selling pharmaceutical products in Berlin, Germany. Merck first opened its’ doors in the United States in 1891. In 1944 a collaboration between Rutgers University and Merck led to the development of streptomycin, an antibiotic usually administered by a professional via a syringe in a hospital setting. In that same year, Merck developed cortisone and eleven years later a team of scientists transformed cortisone into prednisone, which has been considered one of the significant medical advances of the 20th century. In 1963, Merck introduced the first measles vaccine, and four years later another one for mumps. In 2009, Merck and Schering-Plough combined to build on a rich history of scientific innovations. Today Merck is a global health care leader with a diversified portfolio of prescription medicines, vaccines, consumer health products, and animal health products. Merck offers a variety of internship opportunities including research, policy, human resources, and finance jobs. 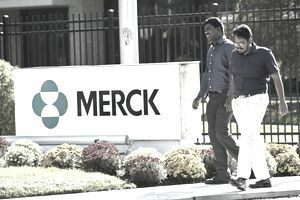 Merck provides 9-week to 11-week assignments between June and August. Real-world experience aligned to a course of study. Subsidized housing and transportation for those who qualify. Provides organized social and professional development events. Internships with the Future Talent Program last 10-12 weeks. Students usually become involved in one or more projects and give students a chance to see if the field and the company are a good match for the student’s career goals. The Future Talent Program features internships that last 10-12 weeks and will include one or more projects. These opportunities can provide you with excellent development and a chance to see if we are the right company for your long-term goals. Students majoring in biology will get exposure and experience working in process validation, manufacturing technical areas, analytical, biological and vaccine development. Individual projects can include the above along with applied development, problem-solving, process/product improvement, and laboratory testing in the above-listed areas. Students will also get exposure to the many analytical techniques that are currently being used, including both in vivo and in-vitro methods, to characterize complex biological products and systems. Students majoring in chemistry will get exposure and experience working in synthetic, organic, analytical, physical chemistry and biochemistry. Students may be engaged in various projects, including chemical laboratory work on assigned problems in the above-listed areas, along with applied development, problem-solving, process/product improvement and laboratory testing. Techniques that students may apply include NMR, HPLC, near IR, immunoassays, wet chemistry techniques, CZE, physical property testing, and other analytical techniques. Previous course sand lab work in instrumental methods is a plus. Students will get an opportunity to work in a team environment and contribute their findings to the overall results. Students will also get a chance to do analysis and interpretation of data for problem solving and predictive purposes. Analytical Chemistry in Development and Supply performs analytical development and support for new chemical, biological and pharmaceutical processes(locations - West Point, PA, Rahway, NJ; Summit, NJ). Vaccine Process Technology and Operations is responsible for process implementation, validation and maintenance for biological processes (locations - West Point, PA, Elkton, VA, Durham, NC). Biologics Manufacturing Science & Commercialization is responsible for the development and implementation of vaccine and therapeutic protein processes (locations - Rahway, NJ, West Point, PA). Vaccine Operations is responsible for oversight and continuous improvement for vaccine manufacturing (locations - West Point, PA, Elkton, VA, Durham, NC). Applicants must be working towards a Bachelor in Science degree in Biology, Microbiology, Virology, Chemistry or Biochemistry. Students must be available for ten weeks beginning in June. Students must possess a strong character and adhere to professional and personal ethics. Students must possess strong communication and interpersonal skills. Students must be high academic achievers. Strong analytical ability is required for these highly skilled positions. Students must have the ability to work well with others as well as independently. Students must be a US citizen or lawful permanent resident of the US. Merck favors students who have previous laboratory experience. To apply for a Merck internship, please visit their website.